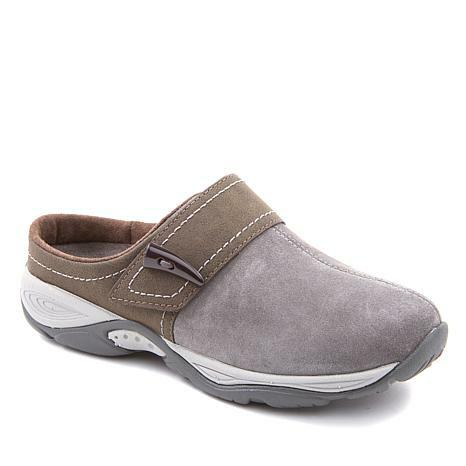 Enjoy cushy support all day, plenty of traction, and lightweight comfort in a stylish clog pairing leather and suede. The horn-adorned strap allows for a custom-like fit. 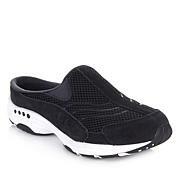 Love these shoes, especially for the insole, with the heel cup and arch support. Immediately comfortable out of the box. I debated between these mules and another that was on sale but so glad I got these. Love the color. 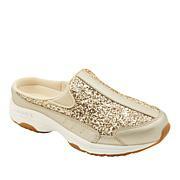 Buckle across the top adds a bit of class and the insole is so soft. I just put on and wore, no breaking in needed. May have to order another in another color. I love these clogs because they are so comfortable and I can wear all day. I like the clog. Color is great and they are light. I had to send mine back because they are narrow and run small.